The Christmas season is the busiest time of the year. From the holiday parties, family reunions, to year-end events, most of our schedules are jam packed! Then again there are the added tasks of event planning, finding the right venue and catering, and of course, gifts and giveaway. However, fret not as it is very quick and easy to shop at Lazada. There is no need to register an account and checkout is quick and easy. They also offer free and fast delivery so you are sure the things that you need will arrive just in time for your parties! From the thousands of products they have on their site, you are sure you will find a gift for that person who is difficult to choose a gift for. The products are also very varied, you could find baby needs like nappies, cribs, and strollers. You may also see electronics, gadgets, toys, and musical instruments. Then there are a lot of home-ware and furniture as well. In need of face and body care products, Lazada offers deals on makeup, hair dyes, body lotion, shower gels, shampoos, and so much more. 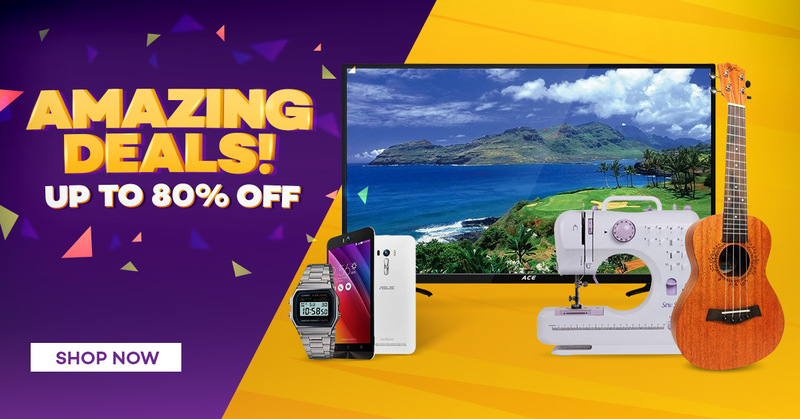 Shopping for everyone you know has never been this easy so you better grab the chance to shop at Lazada and avail up to 80% off on their products! Worried that you do not have credit card or debit card to pay with? There is no need to worry as Lazada offers cash on delivery service. This way, you are sure that the product you are receiving is the right product. See, hassle free! So for this busy holiday season, save yourself the stress and worry of holiday shopping by shopping at Lazada. Express and Free Delivery, Cash on Delivery, Free and Easy Returns, and no Sign Ups Needed for ordering! Shop Now!